Preparing now for the worst the British weather can throw at us helps to ensure your winter maintenance system is ready to be operational come the first snows. SnowEx, the professional choice across the UK and Europe for efficient snow and ice control, has long promoted the earlier the preparation the better. Designed and manufactured to perform in the harshest of environments, SnowEx is certainly built tough in its North American homeland, with a complete range of spreaders from 47 litre to 1,600 litre capacity. The spreaders can be mounted on virtually any host vehicle including ATV’s UTV’s, 4x4’s, pick-ups, tractors, trailers, forklifts and flat bed trucks and there are pedestrian units, so there are options to suit all situations and conditions. 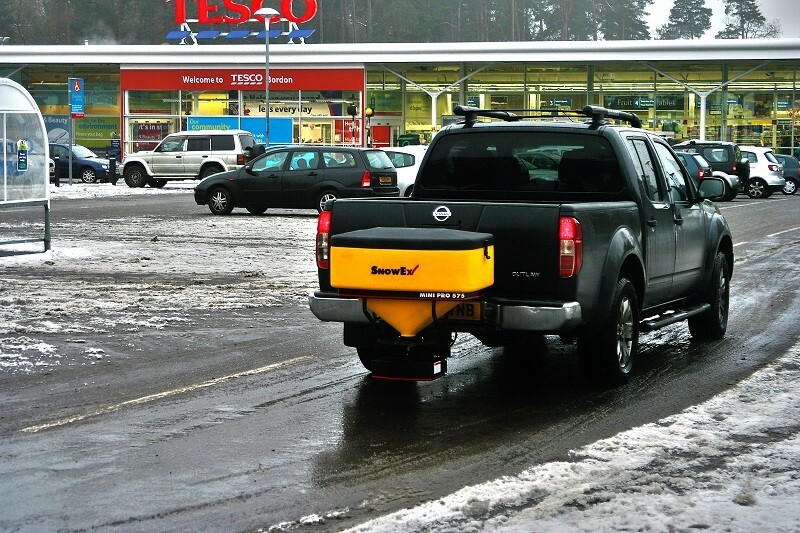 With the increasing Health and Safety legislation making demands on ice and snow control, Wessex International who are the SnowEx distributors in the UK, are always happy to provide expert advice on the SnowEx spreader best suited to your application. SnowEx spreaders feature 12V DC direct drive motors mounted in a weather-tight enclosure to ensure reliable power in every situation. The hoppers are built in high density polyethylene and UV protected for zero corrosion and reduced weight. They are all bright, safety yellow so you can’t miss them. All spreaders have in-cab control units for precise operation of spinners and augers, preventing overspreading and material wastage, while offering greater comfort and safety for operators.